Many e-Procurement companies have annual conferences where suppliers, technology partners and end users attend throughout the country. 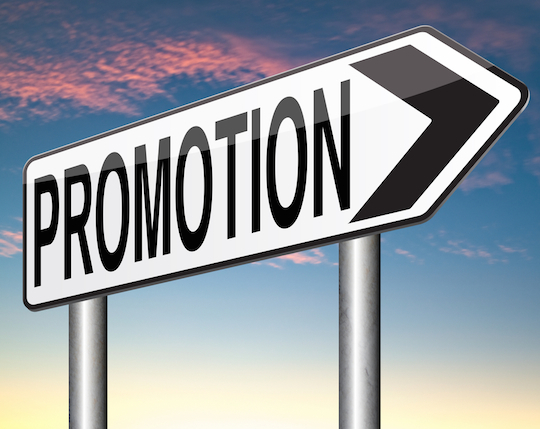 These include SciQuest/Jaggaer’s Next Level conference, Ariba Live, Coupa Inspire and Unimarket’s user conference. There are also regional conferences for the Higher Education Users Group (HEUG) for Oracle/Peoplesoft users. Many of our clients promote their punchout capabilities on their website, you never know when someone may be searching for “punchout catalog for laboratory supplies” or “lab suppliers using cXML invoicing”. When sending information to prospects, consider adding a short note about your punchout capabilities. Not sure on the verbiage? Send us a copy and we’ll be happy to review it and help in any way we can. Your sales team may be the first touch with your potential and existing customers and they need to know what punchout is and how to talk about it. We offer training sessions for sales reps that talk about common questions about punchout that may come up and how to answer them. You might think about reaching out directly to who is buying your products to establish a relationship, but think about marketing to procurement directors or the purchasing team directly. Purchasing and procurement directors will be using e-Procurement on a daily basis. Just another avenue to get your foot in the door. As a Greenwing Technology client you get access to our list of companies using e-Procurement. 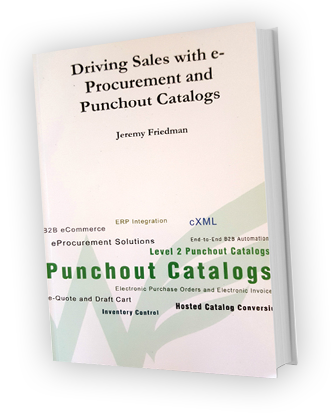 Read our free book “Driving Sales with e-Procurement and Punchout Catalogs” to pick up tips and tricks on using your punchout catalog to gain new clients. Notify your clients about your new e-commerce capabilities with a quick blurb about punchout catalogs in your next client newsletter. You may already bid on contracts with corporations or government entities but have you read the fine print to see if making your products/services available via a punchout catalog would increase your chances of winning the bid? Just last week we helped a client work through a bid for a state contract that had an optional component “Will you make your products available in a punchout catalog?”. Our client was able to check the box next to “YES”. To learn more about Greenwing Technology’s punchout catalog or e-Procurement services call 1-877-415-3237.